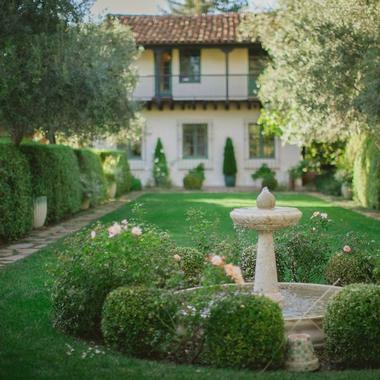 Menlo Park offers small town charm only 25 minutes away from the buzz of San Francisco, California. Perfect climate, beautiful community parks, excellent schools and interesting communities have attracted a large number of big employers such as Facebook, Tyco Electronics, SRI International, Intuit, Google and Pacific Biosciences, making Menlo Park, California a natural extension of Silicon Valley. There is always something to see and do in Menlo Park, CA. 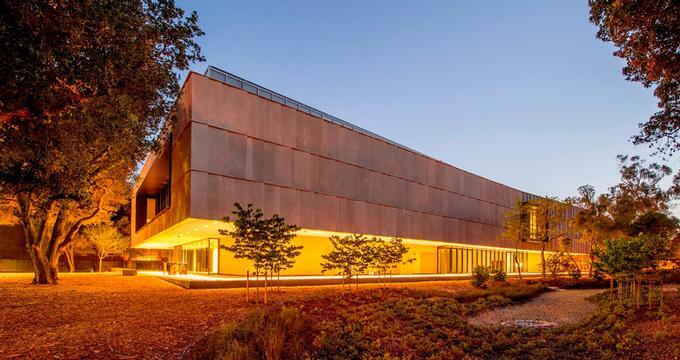 Stanford University's Anderson Collection is a collection of 121 contemporary and modern American sculptures and paintings gifted to the University by Harry W. and Mary Margaret Anderson and Mary Patricia Anderson Pence. 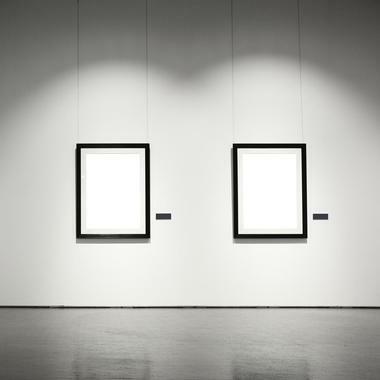 The collection is the core of the larger collection the family has been acquiring for the last 50 years and is considered one of the best private collections of American modern and contemporary art in the world. The collection is on display in the University's new building designed to host this special gift. The Anderson Collection building is located next to the Cantor Arts Center, across from Frost Amphitheater and Bing Concert Hall. 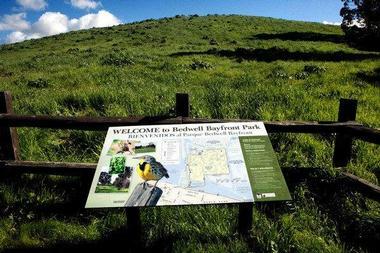 Located on San Francisco Bay at Highway 101 and Marsh Road, Bedwell Bayfront Park is a large 150 acre bayside park surrounded by several industrial plants, with vast open spaces, grassy hills, perfect for hiking and flying kites. There are clusters of eucalyptus and acacia trees dotting the landscape. The park is surrounded on three sides by the Don Edwards San Francisco Bay National Wildlife Refuge. People working for companies nearby use the park for a lunch break, walking or resting on the grass. There is an extensive trail network, mostly unpaved, some flat and some fairly hilly. Climbing one of the hills is worth it, it opens up views of the bay and surrounding mountains. Allied Arts Guild is a historic Spanish Colonial style complex and garden oasis created to provide home to artists' studios, unique shops and Blue Garden Cafe. Opened in 1929, Allied Arts Guild offers an inspiring environment for working artists and craftsmen, beautiful gardens for a quiet stroll, many benches for resting, and unique shops for shopping. The Guild complex currently hosts twenty artisans, and most of them combine their space for studio and retail use. The Guild is owned and operated by the Allied Arts Guild Auxiliary, which supports critically ill children at the Lucile Packard Children's Hospital. The beautiful space at the Allied Arts Guild is popular venue for special events such as receptions, weddings, seminars and meetings. A part of the Midpeninsula Regional Open Space District, a San Francisco Bay Area regional greenbelt system, Ravenswood is one of 26 open spaces that comprise more 60,000 acres of diverse landscape. Ravenswood is a 376-acre preserve located on the edge of East Palo Alto which consists mostly of marshland and sparse grassy vegetation. It is composed of two areas separated by private properties. One is located next to San Francisco Bay, south of the Dumbarton Bridge. The larger southern area is located near Cooley Landing in East Palo Alto where a former salt pond is reverting to marshland. At both ends of the Ravenswood Trail there are benches and overlook platforms which are great for bird-watching, especially during migration periods. Kepler's Books has been the cultural and intellectual hub for Menlo Park and the entire Peninsula since it was founded in 1955 by Roy Kepler, a notable peace activist. 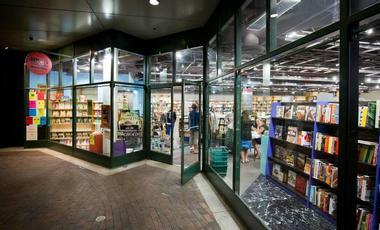 The bookstore was, and still is, known for its very popular literary events, its great, diverse selection of books and magazines and its important role in the community. Kepler's democratized reading by being one of the leaders of the paperback revolution in the 50's and 60's in the San Francisco Bay Area. Flood Park is a 21-acre green space in the middle of a predominantly urban environment. Known for its huge, native bay and oak trees, the park has a number of designated areas for picnics, with tables and benches. 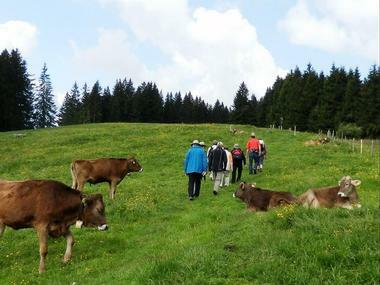 There are also fields for softball, horse shoes, tennis, petanque and volleyball. The baseball field, which is located in the eastern part of the park, is in high demand in the summer. 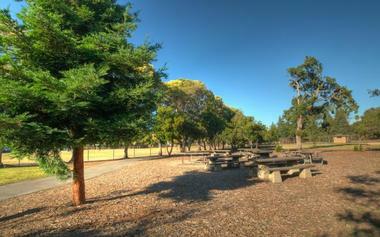 When the park was established in 1936 it was considered a crown jewel of the Bay Area park system. It had a swimming pool, an administration building, the caretaker's residence, the maintenance area and two restrooms. The swimming pool, which was probably one of the first public pools in the States, was removed in the 1970s. 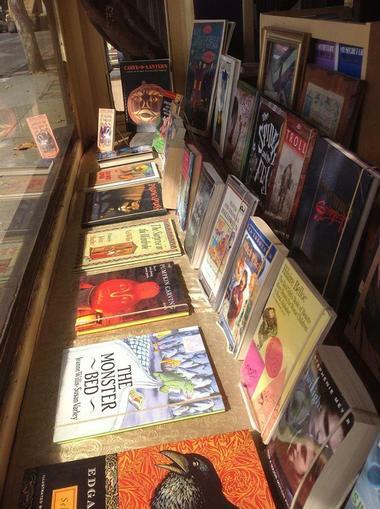 If you like books, you will enjoy browsing the shelves at Feldman's Books. This funky bookstore is located in the oldest house in Menlo Park, which was built in 1880, and has a lovely courtyard where you can sit and spend some time deciding what to buy. The quirky bookstore has more than 50,000 books and specializes in high quality used books, on topics such as literature, history, poetry, art, photography, math, science and much more. They have a rich collection of hard-to-find and antique books and a cozy nook for the kids with such treasures as Beatrix Potter and Harry Potter books. 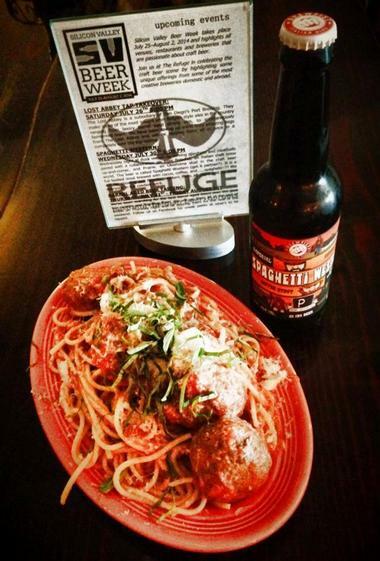 The Refuge is a casual artisan beer pub with cheerful decor dominated by bright red banquettes and the large bar with the best selection of Belgian beers in the area. With 24 Belgian beers on tap - blondes, dubbels, tripels and Flemish reds, and what they call "Parisian wine bistro caliber" wines, you will have a good choice of beverages to go with the reason you came to Refuge - the spectacular, hand-carved and in-house smoked pastrami sandwich. Chef/owner Matt Levin is very particular about his pastrami. This meaty deliciousness is made tender and juicy after a week of work - brining, steaming and smoking. There are also superb house-ground hamburgers, tender ribeye cheesesteaks, original salads, hot soups and in-house special chicken liver. 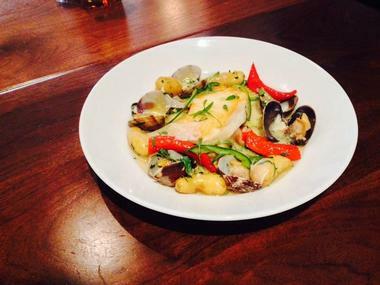 Portions are large, the atmosphere is small-town cozy and you are sure to be back. 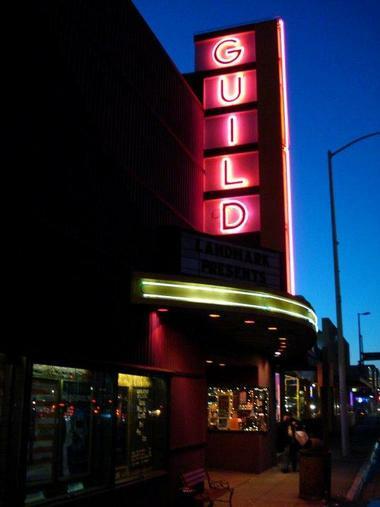 The Guild Theatre was built in 1926 as a burlesque house under the name Guild Theatre, near the today's Menlo Park downtown. In the 1940's, the theatre changed its name to Guild Theatre and had its façade ‘loped off' and rebuilt when El Camino Real was widened. Once reopened, it started featuring motion pictures. This oldest theater on the San Francisco Peninsula that is still standing is famous for two huge golden wings on both sidesof its enormous screen and funky old-fashioned decor that came from various other theatres after they were demolished. Today the Guild Theatre shows mostly independent and foreign language movies. The Dutch Goose has been Menlo Park's favorite family pub since 1966, the place where you bring the family for Sunday burgers or a couple of friends to watch the game while sampling one, or more, of pub's twelve beers on tap and ten wines by glass or bottle. You can eat inside, surrounded by large TVs, or outside in the "Duck Blind," a dog-friendly shady patio featuring large rustic benches and a full bar. The Palo Alto History Museum does not exist just yet, but some very important organizations and many great people are hard at work to make it happen: the Palo Alto Historical Association, the Palo Alto-Stanford Heritage, the University South Neighborhood Association and the Museum of American Heritage. 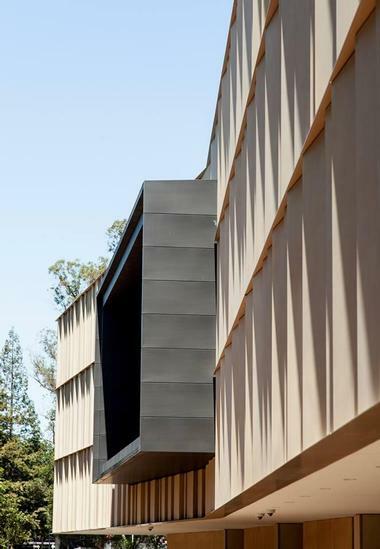 The museum will be established in the historic 1932 Roth Building which is located at 300 Homer Street next to Heritage Park, near downtown Palo Alto. The plan is to renovate the beautiful old city-owned building to prepare it to offer home to the city's extensive archives that are currently in various temporary locations. Once completed, the building will offer 22,580 square feet of space and will host interactive exhibits, classrooms, community gathering spaces and a media center. Located in the Stanford Park Hotel in downtown Menlo Park, the Menlo Grill Bistro & Bar is an elegant yet cozy restaurant with beautiful, sophisticated decor dominated by soft leather banquettes, dark oak floors and a beautiful brick fireplace. 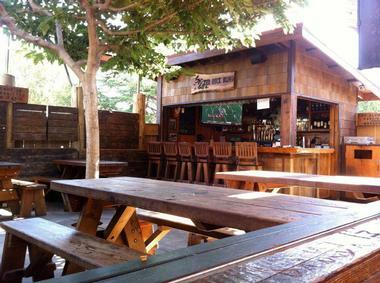 The outside patio is very inviting with comfortable chairs around fire pits surrounded by lush greenery. Executive Chef Nathaniel Mitzner's original take on classic American comfort food results in delicious dishes such as Berkshire pork brined in cider, served with potato croquette, quince puree, roasted baby carrots and pickled mustard seeds. The Menlo Grill is open until late, so stop by for a nightcap and a snack. When Menlo residents are in the mood for some Caribbean food, they go to the Back A Yard Caribbean grill. The relaxed, unassuming dining room is decorated with bright murals depicting Caribbean life, sure to captivate your attention while you are waiting for what is mostly Jamaican cuisine, heavy on the jerk sauce, seafood and coconut milk, happily merged with American favorites. 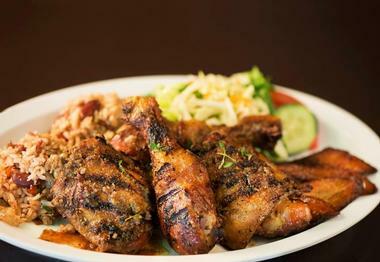 Jamaican jerk meals come with your choice of chicken, pork, salmon or steak, and rice, beans, fried plantains and a salad. Believe it or not, there is even jerk tofu. If you want to try something truly Jamaican, you will have to come on Saturday, when they serve Ackee and Codfish with rice and beans and fried plantains.